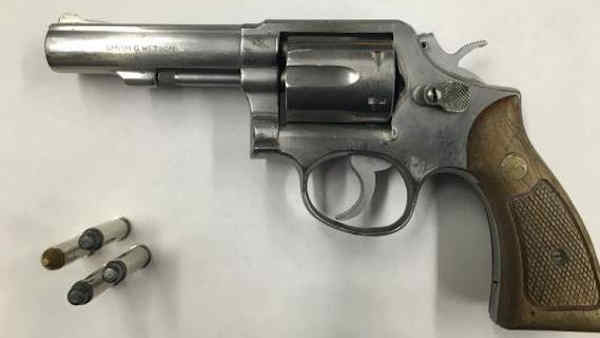 SHEEPSHEAD BAY, Brooklyn -- Police say an armed 15-year-old who stole a woman's cell phone on a Brooklyn subway platform was quickly arrested after responding officers got information on the crime in progress on their newly-issued department smart phones. The officers -- a lieutenant and officer assigned to the 61st Precinct -- rushed to the report of a cell phone robbery at the Neck Road station on the Q line in Sheepshead Bay around 3 p.m. Thursday. A woman standing on the platform just had her pink cell phone snatched by a young suspect who fled to the street. The officers received a description of the larceny suspect on their phones before the information was even broadcast over department radios. When they arrived at the station, they saw the suspect carrying the pink cell phone and quickly placed him under arrest. The teen was also carrying a loaded .357-caliber hand gun. Charges against the teen are pending.